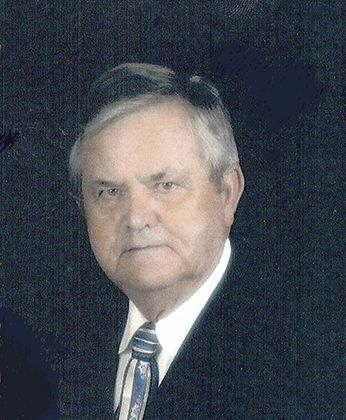 William Phipps, 85, went to be with the Lord, April 1, 2019. He was born Jan. 8, 1934 in Stidham, Oklahoma, to Silas and Margaret Phipps. William proudly served his country 26-1/2 years in the United States Air Force. He is preceded in death by his parents, his wife of 59 years, Xelpha L. Stafford Phipps, two brothers. He is survived by two sons, Terry L. Phipps and wife Irma, of Waxahachie, Texas and William G. Phipps, of Bellevue, Texas; Ggrandchildren Travis Phipps and wife Brandy, Tracie Benningfield and husband Tommy; great-grandchildren, Gareth Phipps, Rylan Phipps, McKinlee Benningfield, Deacon Benningfield, Jackson Benningfield. Visitation will be held at 10 a.m., April 8, 2019, with a Funeral Service following at 11:30 a.m. at Waxahachie Funeral Home. Interment will follow at DFW National Cemetery.